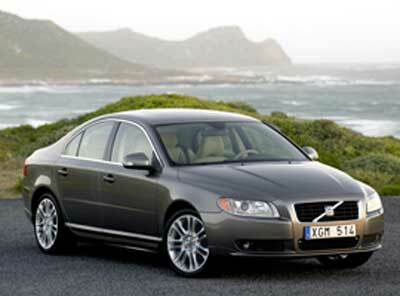 We were mightily impressed with Volvoâ€™s all-new S80 when we tested the V-8 powered AWD version a few months back. At the time, the only other engine offered was a 235-hp six-cylinder, with front-wheel drive. Now, Volvo is adding a turbocharged version of that six-cylinder, which produces an impressive 295 hp and 285 pounds-feet of torque paired to an AWD system. The V-8, for comparison, produces 311 hp and 325 pounds-feet of torque. No pricing has been announced for the new model, called the S80 T6 AWD, but the current six-cylinder starts at $38,705 and the V-8 AWD starts at $47,350. Itâ€™s easy to assume the new T6 will fall somewhere between those two figures. No on-sale date has been announced.